Sarah Palin says “Awesome show!” The Seattle Times says, “Hilarious and amazing!” Sharon Osbourne and Piers Morgan of “America’s Got Talent” say “Funny!” and “The total package!” Rave reviews just keep coming for Matt Baker’s Comedy Stunt Show. Appropriate for both corporate and family venues, Matt can even keep college students entertained. Corporate entertainment has never been this funny. His unique combination of stand-up comedy with amazing stunts is hip, energetic, and includes tons of audience participation. Matt has been headlining at colleges, corporate functions, festivals, and special events. 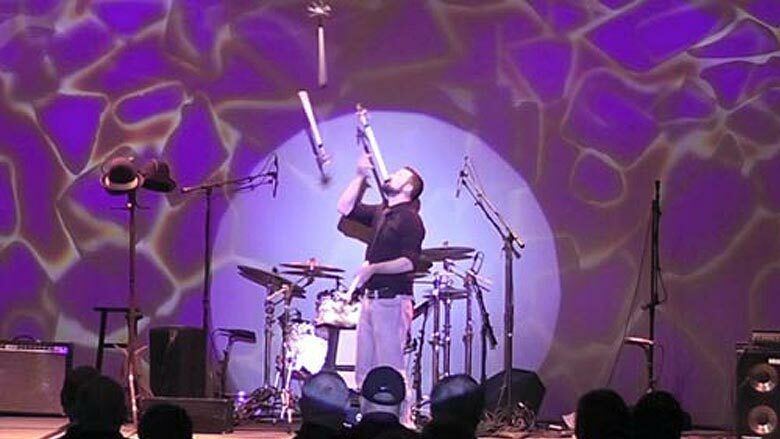 Over 2,000 shows in 14 countries have established Matt, who is also a Guinness Book World Record Holder, as a top-notch professional. Matt has appeared on America’s Got Talent, Last Comic Standing, Fox Sports, CCTC, ESPN, and the Las Vegas Comedy Festival. Catching a horse with his face, spearing vegetables mid-air, escaping handcuffs, and juggling with his mouth are part of every show. However, Matt can customize YOUR show by referring to themes, products, mascots, local facts, messages, volunteers, and inside jokes. Matt’s Comedy Stunt Show is completely self-contained and flexible so that it integrates seamlessly into YOUR event. Matt and his one-man comedy show is a hit with any crowd. 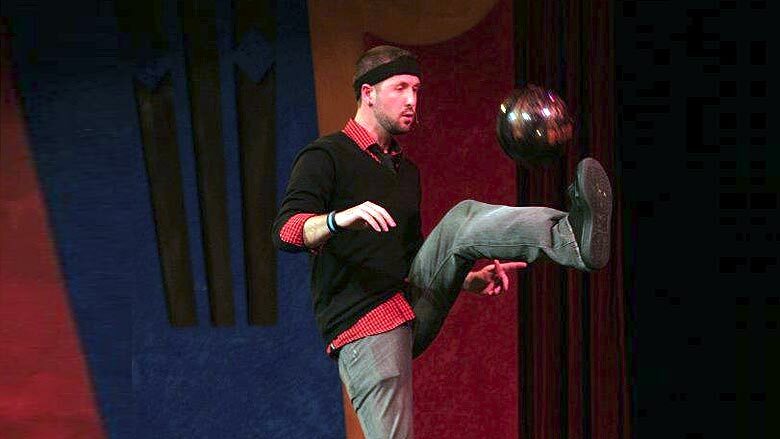 Matt is one of the funniest and most entertaining comedians and jugglers on the circuit today. He routinely has audiences laughing so hard they end up hunched over in pain, and yet they still don’t want him to stop. Matt Baker received rave reviews from the Judges when he performed on America’s Got Talent and always leaves audiences wanting more. His interactive and highly entertaining shows are always a big hit at corporate events and parties.